Rhodiola Rosea is an herb used as a traditional Chinese remedy. Interestingly enough, you will also find references to this special herb in Scandinavian therapeutic history. It is thought to help promote physical and cognitive vitality as well as reducing fatigue, even in prolonged stressful situations. Rhodiola Rosea actually grows in numerous cold regions throughout the world, especially in mountainous areas. It has been found growing at elevations up to 2280 meters and shoots may reach up to 35 centimeters in height. The herb itself is considered dioecious, having separate male and female parts. One of the most important benefits of Rhodiola Rosea powder is that it helps relieve stress. It is thought to actually balance your stress-response system, which includes both the sympathetic nervous system (the so-called 'fight or flight' response) and the parasympathetic nervous system that recharges and heals the body (returning you to a relaxed state). 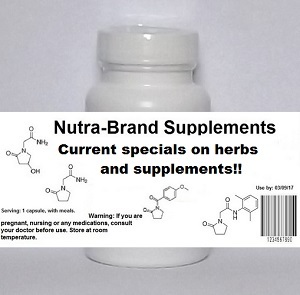 In this way, the supplement acts as an adaptogen. Rhodiola Rosea supplementation has also been shown to help shorten muscle recovery time. This can be particularly helpful after prolonged and intense workouts. This also is thought to lead to increased attention span, memory, and strength. After exhaustive exercise, this supplement increases the levels of enzymes, RNA, and protein that are important to muscle recovery. Glycogen synthesis in the muscles and liver, along with protein synthesis and anabolic activity, are also all stimulated. You may also discover that supplementing with Rhodiola Rosea can boost and strengthen your immune system. A full range of anti-oxidant compounds have been found in this substance, leading to a reinstatement of metabolic balance throughout the body. It increases the natural killer cells found in the stomach and spleen. There is also some evidence that the supplement can increase health at the cellular level by increasing your body's resistance to toxins. Russian researchers have found oral use of Rhodiola Rosea inhibited unhealthy cell growth in rats by 39% and decreased metastasis by 50%. The suggested dosage recommended for Rhodiola Rosea is 250mg two times per day.